The Railway Minister Shri Suresh Prabhu also highlighted the activities and initiatives of Indian Railways, aimed at conserving resources. Restoration of water bodies, energy management, use of LED lights, promoting green toilets, planting of trees along the tracks are some of green initiatives taken up by the Railway Ministry, as informed by Shri Suresh Prabhu. The Railway Minister also called on the need and importance of designing creative and innovative buildings which will conserve natural resources. He therefore highlighted that the green building movement should become a mass movement and every building should be a green building. Dr. Prem C Jain, Chairman, Indian Green Building Council (IGBC) informed the delegates that over 3,800 green building projects are currently registered with IGBC, amounting to over 4.45 billion sq.ft of green building footprint. 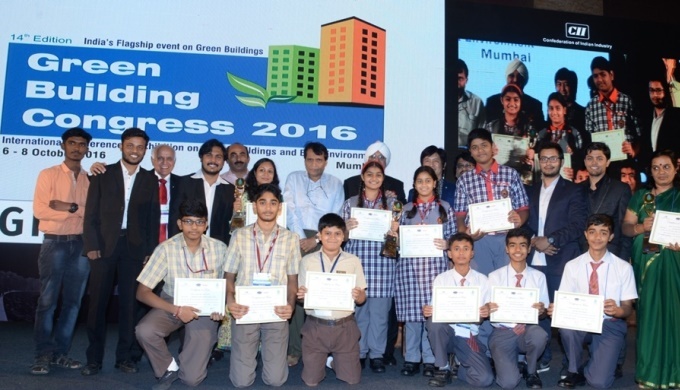 Today, India stands at the second position in the world in terms of largest registered green building footprint. He also echoed that IGBC’s vision is to facilitate 10 billion sq.ft of green building footprint by 2022.